Servicing the Greater Los Angeles and San Fernando Valley. We personally pick up your videos and provide safe mailing options. Professional Playback Equipment that give enhance quality. Time Base Correction to Stabilize, Color & Exposure correct videos. Edit out Unwanted dead space for your viewing pleasure. Title of your choice with Scene Selection and Menus. 3D Noise Reductions is applied to reduce video noise and artifacts for a cleaner picture quality. 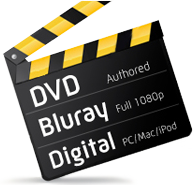 High Quality Sony DVDs to ensure 100% playback guarantee & 100 Year archival endurance. 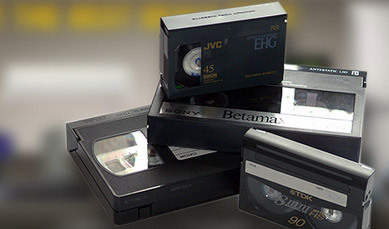 Local LA/Valley Pickup - No need to ship, eliminate risk of losing priceless tapes and film. Hard Case and custom labels provided. Digital Copy on Hard Drive included with all DVD transfers. We have got you covered all over Los Angeles!! - Call us for quick, Quote, Question, or to schedule to FREE Pickup. We are Local and we will get your job done on Time and on Schedule! Locations in Encino, Woodland Hills, Beverly Hills, West Hollywood, Santa Monica, Torrance, and Pasadena. We are Local and will get your Transfers done on Schedule, and Professionally! DVD Cases With Custom TitlesDVDs & cases are custom labeled and delivered in a protective hard-shell case. Professional Hardware EncoderWe are probably the only company that uses professional encoders with over 20 different quality settings to ensure fantastic video & audio capture! Professional Capture EquipmentTo ensure high quality video & audio transfers, we only use professional machines that are compatible with our hardware encoders. Contact us for a quote or if you have any questions. Excellent customer service. Fast turn around and great results on VHSC to DVD. Would definitely use them again. Thanks Ray at Digital Video lab for doing such a great job.!!" Copyright © 2008-2011 - Digital Video & Film Lab, LLC.